With little fanfare, South Africa this week kick-started the process of “dual illumination”, a significant milestone in the switch from analogue to digital terrestrial television (DTT) and a move that allows broadcasters finally to launch commercial digital services. Dual illumination is the period — beginning on 1 February 2016 and expected to last several years — during which both old analogue and new digital signals will coexist. It’s meant to allow those consumers who watch terrestrial services like the SABC and e.tv to acquire the set-top boxes they will need to continue receiving services once the analogue signals are switched off at a future date yet to be determined by cabinet. 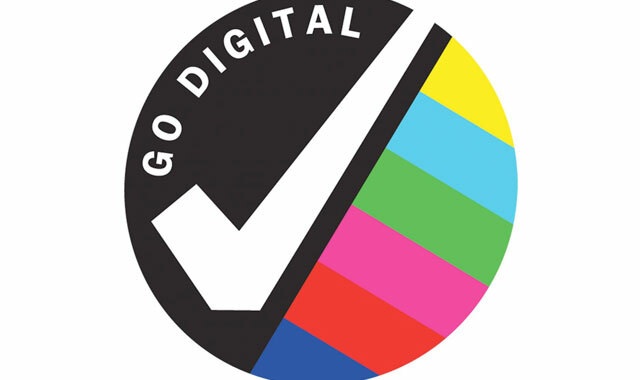 MultiChoice was first out the gates, launching its GOtv platform in South Africa on Wednesday. GOtv is already available in 10 other markets in sub-Saharan Africa, but its arrival in South Africa was delayed because of the time it has taken to get the digital migration project off the ground here. Launched by MultiChoice subsidiary M-Net, GOtv offers 12 channels of standard-definition content for R99/month and a much cheaper package providing two channels, also in SD, for R49/quarter. Users also get access to free-to-air content from the SABC, e.tv and community broadcasters, but not if their GOtv subscription is not paid up. This is to cover the cost of decoder subsidies and support. The launch of DTT in South Africa this week comes after years of government bungling over standards as well as disputes between commercial operators over encryption (still the subject of a legal challenge by e.tv). Though South Africa long entertained lobbying by Japanese and Brazilian delegations over their broadcasting standard, known as ISDB-T, South Africa eventually stumped for the European standard, known as DVB-T — or rather, the updated DVB-T2 version thereof. MultiChoice, meanwhile, emerged victorious in a long-running and acrimonious dispute with e.tv over whether government-subsidised set-top boxes should contain a conditional access system based on encryption. E.tv is now challenging a high court decision that found in favour of communications minister Faith Muthambi, with the supreme court of appeal in Bloemfontein set to hear the matter this year. It’s not clear what impact a victory at the appeals court would mean for the DTT process at this late stage. 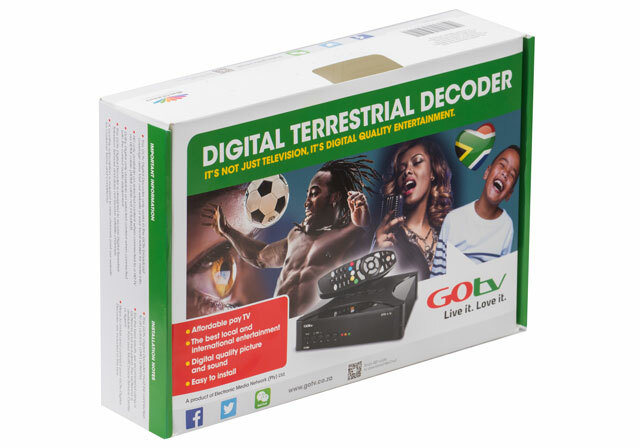 Though e.tv and the SABC haven’t yet disclosed their DTT plans, both broadcasters already offer a number of channels that South Africans with a compliant set-top box, including the GOtv box launched this week by MultiChoice, are able to view. At the time of writing, the SABC was broadcasting SABC1, SABC2, SABC3, SABC News and SABC1 HD. E.tv’s line-up consisted of e.tv HD, eAfrica+, eKasi+, eMovies+ and eToonz. GOtv’s 12-channel “Value” channel bouquet is made up of M-Net Movies Zone, Africa Magic Epic, Mzansi Bioskop, Mzansi Wethu, TLC Entertainment, SuperSport Blitz, SuperSport Select, Disney Junior, Nick Toons, Mzansi Music, Channel O and Dumisa. The two channels on its R49/quarter “Lite” bouquet are Dumisa and Mzansi Music. Those on M-Net’s legacy analogue service — which provides the M-Net channel and the Community Service Network, or CSN, channel — will be migrated to the digital platform at the same monthly price, currently R335/month. MultiChoice is not, however, planning to make M-Net’s legacy terrestrial services available to new subscribers, even after the switch to digital. At one time, there was talk of proprietary EPG data services that would only work on government and locally supplied boxes. Can anybody confirm this, or will they conform to the standard and work with TVs with built in DVB-T2? >>conform to the standard and work with TVs with built in DVB-T2? …but that’s doubtful and it would make them even less popular than the “champions of the consumer” that a trying to get OTT services to be regulated. …besides many people will switch-over well before they are able to determine where all the money for the freebies will be coming from. An open question as I do not know a lot about these technologies? The subsidized STBs are destined for the poorest of the poor, on condition that they provide a valid TV license, proof of residence and of course an ID and proof of income. How many of them will be able to fully comply? Will government be able to successfully and legally distribute these decoders to those who are meant to receive them, or will they end up in a government warehouse, or the homes of politically connected people? Won’t it just be easier for them to save up go and buy an OVHD decoder because surely they could already afford a TV? If this happens, wont OVHD decoders end up being the majority decoder in use and all money spent on the whole digital terrestrial network and subsidized STBs again be taxpayer money thrown down a sewer that doesn’t work due to lack of maintenance by local government? simultaneously reaching a much greater percentage of the population. 1. Release of the digital dividend spectrum to be used for mobile broadband, LTE, LTE-A and eventually 5G services, but that’s assuming that the government, the DoC and ICASA don’t mess that process up and further, which is asking for a big miracle. 2. The delay in rolling out DTV along with the monotony and high cost of DStv and uselessness of the SABC has meant that many consumers will skip broadcast TV (both terrestrial and satellite) and jump straight to online streaming services. This is especially true of millennials, who typically own smartphones, tablets and decent internet access packages, and have a voracious appetite for new tech and gadgets. This is ironic! The concept of digital migration is premised on broadcasters migrating their existing ‘analogue services’ in terms of their Broadcasting Licenses. If M-Net and CSN are not included in the GOtv offer, then M-Net is not migrating but is just offering new services on their allocated capacity. Under which provision of the Digital Migration Regulations did ICASA authorise this GOtv offer? Has ICASA been captured by MultiChoice? Finally, ICASA’s incompetence and MultiChoice’s un-competitive practices will go to the Competition Commission!!! >>If M-Net and CSN are not included in the GOtv offer, then M-Net is not migrating but is just offering new services on their allocated capacity. We’ll have to wait and see if our toothless ICASA, can muster a pair of apples of the kind that Gareth Cliff had to challenge M-Net and end up victorious in the court battle – but I doubt that the incompetents that have been deployed there even realize that M-Net legacy terrestrial services would need to migrated and made available on GOtv as per provisions of the Digital Migration Regulations. I’ve been waiting for a statement from the DoC since Monday the 1st – SA’s official launch of the DTT Dual Illumination programme. To date,….nothing. Officially, only GOtv (a private commercial service) has announced it’s go to market plan and the Public Free To Air (under the DoC) is yet to announce the nature of service they will receive from the Government funded/supported programme. In essence, M-Net has launched a commercial DTT service (giving them the same competitive advantage they’ve had over the last 20 years – entrenching the MultiChoice monopoly). At the same time, the DoC led Free-To-Air DTT service is silent, without a distinctive Consumer Brand, Channel Line-Up and Retail Set-Top Boxes in the market. It’s a sad state of affairs, but MultiChoice has hijacked South Africa’s DTT migration programme in the same way that they’ve done in the rest of Africa….PERIOD!!! >>I’ve been waiting for a statement from the DoC since Monday the 1st – SA’s official launch of the DTT Dual Illumination programme. To date,….nothing. Well, if the Public Broadcaster is going to be solely relying on direction and funding from the DoC, then it’s going to take ages before anything that would be a success happens. The only reason why there are now two additional channels that are also going to be available from SABC, is thanks to the interventions of Multichoice because every other attempt to successfully run a 24/7 news channel, by the Public Broadcaster was a complete disaster. The focus for the SABC should be on privatization and drastically reducing it’s complement of dead-wood employees as well as cutting such costs as exorbitant salaries paid to person(s) without a matric qualification; and off-loading most of the assets that would be better run by the private sector.